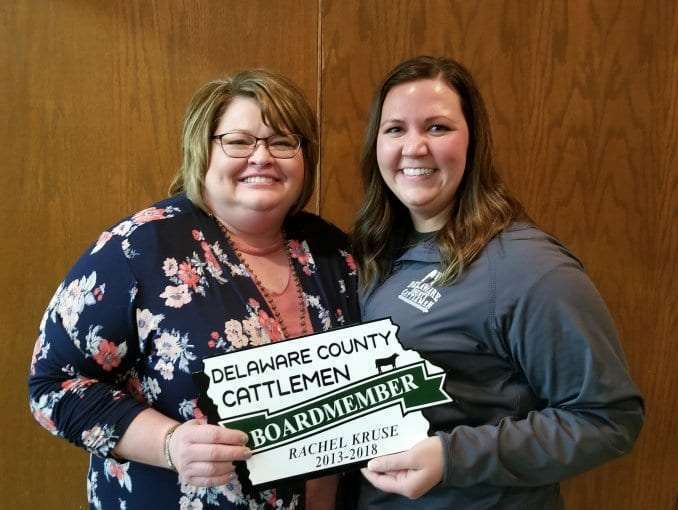 The Delaware County Cattlemen held their annual Beef Banquet on Saturday, serving to a large crowd at the Delaware County Fairgrounds Pavilion. 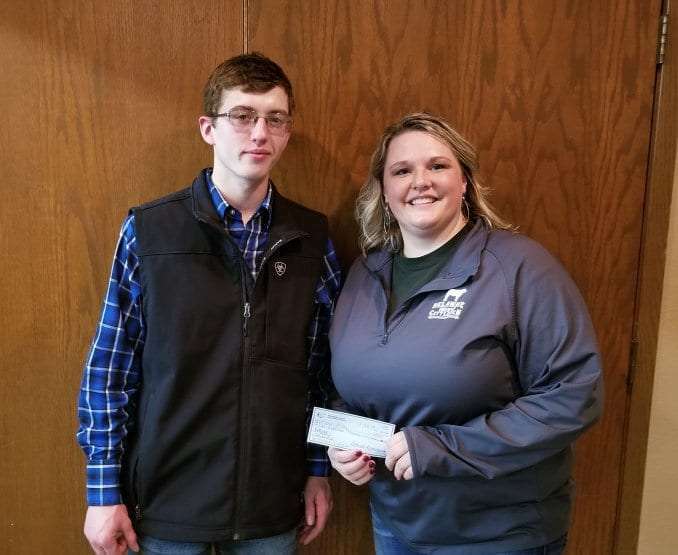 And they presented several honors to those involved in the local beef industry. 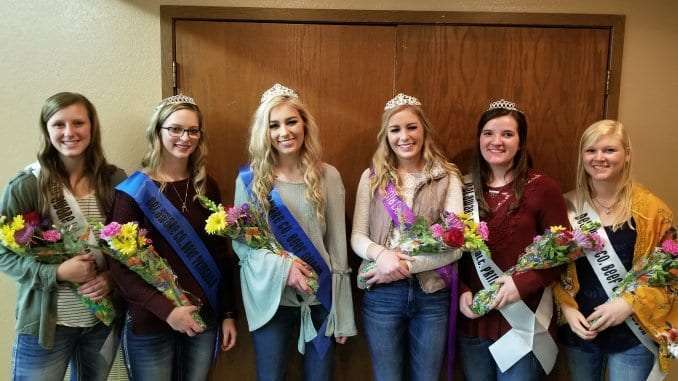 New royalty was crowned, with last year’s Beef Princess Myla Loecke of Manchester promoted to the 2019 Delaware County Beef Queen. 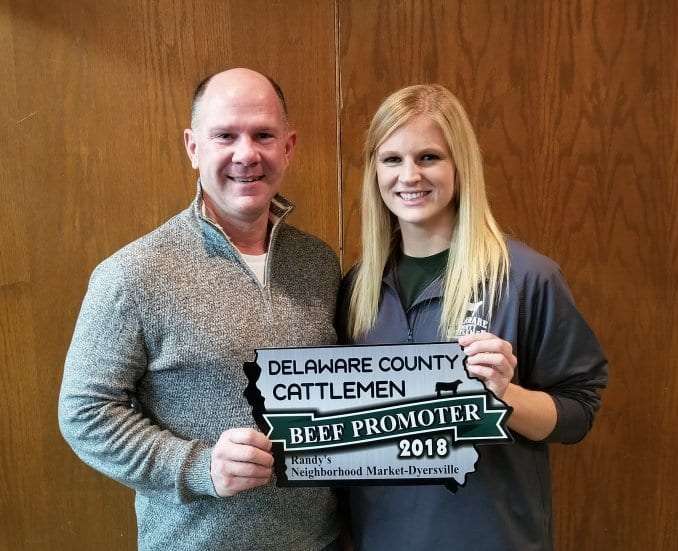 And four candidates were vying for this year’s Delaware County Beef Princess, with the crown going to Erin Bonert of Petersburg. Bonert says she helps her parents, John and Colleen Bonert, on the farm. 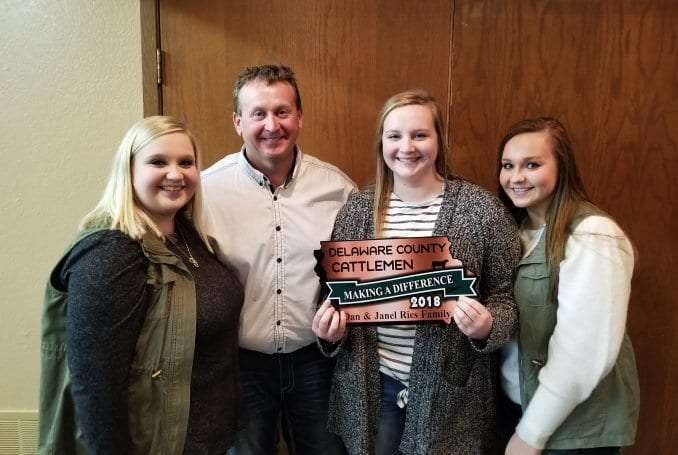 The three other Beef Princess candidates will have the opportunity to stay involved with the Delaware County Cattlemen as well – Erin Monaghan was crowned Alternate Beef Princess, with Hailey Hellman and Chloe Thein named Beef Ambassadors. Outgoing board member Rachel Kruse was also recognized, along with scholarship winners Aleah Vaske and Josh Hilby. The Beef Promoter award went to Randy’s Neighborhood Market in Dyersville, with Dave Nebel accepting. The Cattlemen of the Year award was presented to the Bob and Jeni Ries family of Manchester. 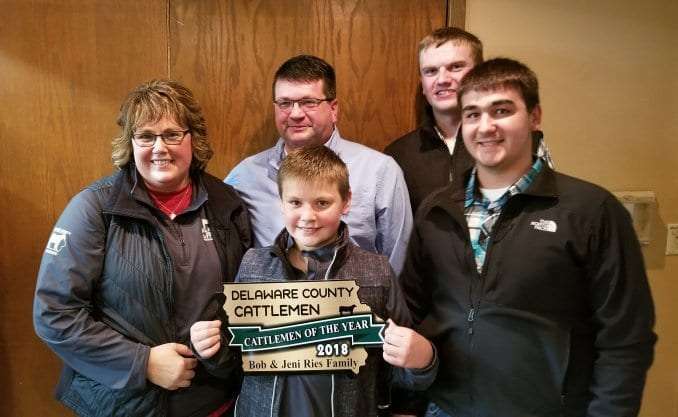 Bob and Jeni’s family were recognized for their work with the Cattlemen’s Steer-n-Stein building at the Delaware County Fairgrounds. It was a special night as the family of Jeni’s sister, Janel, who unexpectedly passed away last fall, was also recognized. The Janel and Dan Ries family of Earlville were honored for their volunteer work with the Making A Difference Award.